Video Production Utah faced a typical production problem: creating an original and a high-quality series under a tight schedule. The first demand called for a website. Aside from posting up the episodes, we needed a place to document the extra content that documented the process. We launched the website in 24 hours, and it became the information hub for the show. We wrote the script in record time, and auditions were conducted on January 29th. We met with a large pool of local Utah talent, with over 80 actors auditioning for eight parts. After the cast was decided, principal photography promptly commenced. MidNyte took place in a deserted, unknown metropolitan area. We didn't have to go far for location scouting, as we found all the locations around Video Production Utah's offices. Alleys, roofs, lobbies, and plazas were all within walking distance. 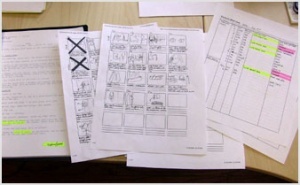 Our production team created storyboards and shot lists prior to shooting. We made "comic books" out of the screenplays to illustrate how each shot was framed before the actual shooting began. This is key to good pre-production and saved us precious time on set. We began shooting on February 19th, with a small and dedicated crew. We planned our shooting schedule accordingly, knowing to accommodate everyone's busy lives. We shot the first five episodes in approximately five days. Shooting ended in the middle of April. 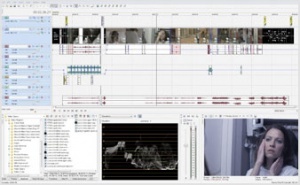 There were two components to the editing process: video editing and music scoring. We edited a locked-picture (the final picture where no changes were to be made afterward) and gave it to the composer to score it. While the composer's composing original music for the video, we added worked on the special effects, color correction, and audio sweetening. The final cut was done on time after we combined the sound and video elements. "MidNyte's" first episode, "Genesis," debuted on March 13th, 2009. It was featured on Comcast, YouTube, and the official MidNyte website. Twelve episodes aired every Friday since its pilot. We averaged over a thousand viewers per week, with more people watching over YouTube.